Today's Wednesday Artist features Tommye McClure Scanlin, primarily a tapestry weaver since 1988 who exhibits nationally and internationally. The award-winning McClure, who lives in Georgia, has been a weaver, using many different weaving techniques, for more than three decades. Scanlin's Website works in progress includes her blog, a list of her workshops on tapestry and design (she'll be teaching at ArtSpace in Raleigh, North Carolina, February 6-8), images of her current tapestries, links to her gorgeous handcraft on other Websites, and an excellent list of resources for weavers and collectors. My thanks to Woven for the video. Allanstand Craft Shop at Folk Art Center in Asheville, North Carolina, and Piedmont Craftsmen Gallery, Winston-Salem, North Carolina, carries Scanlin's tapestries. Writing Without Paper is taking a break through the end of the month. Enjoy your holidays and join me again on January 4, 2016. Below is the final 5-minute video in the "Art for Advent" series from art historian Dr. James Romaine. Today's art selection, for the Fourth Sunday in Advent (December 20, 2015), is Leonardo da Vinci's Annunciation, a painting depicting the angel Gabriel's announcement to Mary that she will give birth to Jesus. Dr. Romaine explains the science behind the painting. The painting is found in Florence, in the Uffizi Gallery's Leonardo Room. It is not too early to mark your calendars for poetry readings, poetry slams, and poetry festivals in the coming New Year. Below are a dozen selections from around the country. Explore the links to discover work of poets you might not know, and check FaceBook and Web pages for details as they become available. ✭ Free Library of Philadelphia — "Monday Poets Reading Series", Philadelphia, Pennsylvania. The New Year kicks off January 4 with readings by Pew Fellow and Poet Laureate of Montgomery County, Pennsylvania, Yolanda Wisher and poet, workshop leader, and educator Trapeta B. Mayson. On February 1, poets M. Nzadi Keita and Lamont B. Steptoe headline. Poets Beth Feldman Brandt and A.V. Christie appear March 7. On April 4, Honoch Guy Kaner and Adebe DeRango-Adem read. The series spotlights regional and local talent. ✭ Palm Beach Poetry Festival — "2016 Palm Beach Poetry Festival", January 18 - 23, Delray Beach, Florida. Now in its 12th year, the festival of performances, readings, interviews, craft talks, and workshops involves such well-known poets as Carl Dennis, Denise Duhamel, Tom Sleigh, Mary Szybist, and Kevin Young. 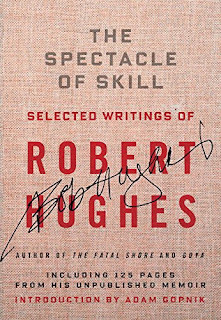 Robert Hass is the festival's special guest. Festival events are open to the public. ✭ The Poetry Project — "42nd Annual New Year's Day Marathon Benefit Reading", New York City, January 1. The New Year's Day event, which raises funds to pay writers for their work, involves a huge cast of performers. Some of those in the lineup for 2016 are Anselm Berrigan, CAConrad, Aracelis Girmay, Philip Glass, Amy King, and Anne Waldman. Other readings take place throughout the month of January and thereafter. ✭ Michener Center for Writers, University of Texas — The Michener Center's "Reading Series" includes poet and novelist Laura Kasischke on February 11, Avaya Auditorium, Austin, Texas, 7:30 p.m.
✭ Seattle Arts & Lectures — SAL "Poetry Series", "Joshua Roman and Tracy K. Smith", February 25. On April 19, the series is presenting "Pablo Neruda's Lost Poems: A Book Launch Featuring Forrest Gander and Friends". Both events are in McCaw Hall's Nesholm Family Lecture Hall. Copper Canyon Press is the co-presenter of the April event. ✭ Poetry Slam — "2016 Women of the World Poetry Slam", Brooklyn, New York, March 9 - 12. This is a tournament in which individual poets perform four poems during preliminaries; the top poets then go to the finals to compete for "2016 Women of the World Champion". ✭ Academy of American Poets — 2016 National Poetry Month (20th Anniversary), April. The entire month of April is given over to the "largest literary celebration in the world", which includes, in addition to poets, a wide range of schools, publishers, libraries, and booksellers. It takes place online and off. ✭ Science Fiction Poetry Association —"OdysseyCon 2016", April 8 - 10, Madison, Wisconsin. The poetry programming at this convention includes a prose poem contest, a poetry slam, literary panels, and an Open Mic. ✭ Split This Rock — "Split This Rock Poetry Festival: Poems of Provocation & Witness", April 14 - 17, Washington, D.C. Juan Felipe Herrera, 21st U.S. Poet Laureate, will kick off four-days of readings, workshops, discussions, and more. The line-up includes, among others, Reginald Dwayne Betts, Nikky Finney, Ross Gay, Aracelis Girmay, Rigoberto Gonzalez, and Ocean Vuong. ✭ Kalamazoo Poetry Festival — "2016 Kalamazoo Poetry Festival", Kalamazoo, Michigan, April 15 - 16. In addition to readings, workshops, and such events as Open Mic, the festival presents Natalie Diaz and Jamaal May, who will be giving craft talks and readings. ✭ Skagit River Poetry — "9th Biennial Skagit River Poetry Festival", La Conner, Washington, May 19 - 22. Among the poets in the coming year's lineup are Natalie Diaz, Tarfia Faizullah, Jamaal May, Aimee Nezhukumatathil, Naomi Shihab Nye, and Martha Silano. ✭ Dodge Poetry — "2016 Dodge Poetry Festival", Newark, New Jersey, October 20 - 23. This festival claims the title of "largest poetry event in North America". Held in Newark's downtown Arts District, the festival includes themed readings, collaborations among poets and musicians, craft talks, small-group conversations about poetry, and much more. takes himself to be, and vice versa. 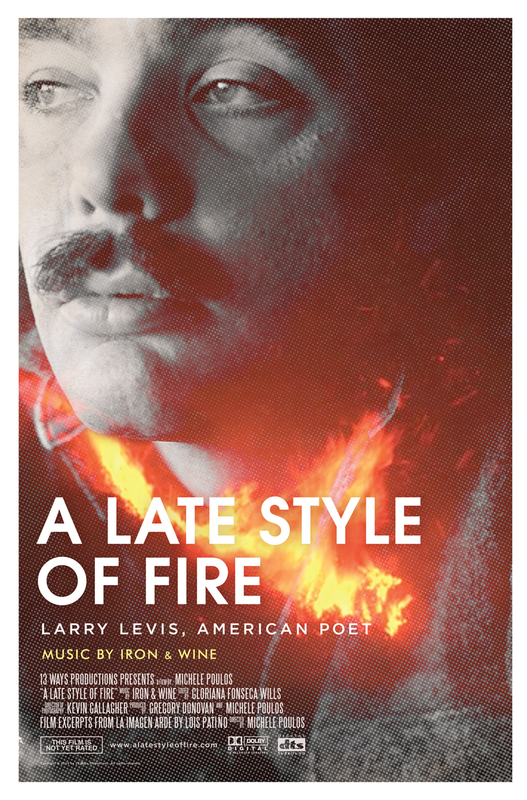 Forthcoming from poet and film director and producer Michele Poulos is A Late Style of Fire (13 Ways Productions), about the California poet Larry Levis (1946-1996)—in the words of Terrance Hayes, "our Whitman for the late twentieth century." A trailer is not yet available. 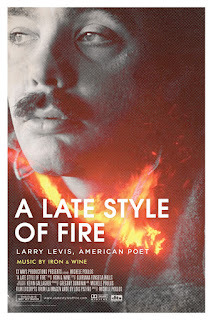 The feature documentary, which launched a successful Kickstarter campaign earlier in 2015 (watch the director's statement about her project), looks closely at Levis's childhood, his experiences working alongside migrant workers, his marriages, and his friendships with other American writers and poets (he studied under Philip Levine). Featured in the film are, among others, poets Carol Muske-Dukes, Norman Dubie, Colleen McElroy, Carolyn Forche, Kathleen Graber, Philip Levine, Stanley Plumly, Gerald Stern, and Charles Wright. Levis wrote a book of stories, Black Freckles (Gibbs Smith, 1992), and a number of poetry collections: The Selected Levis: Revised Edition (David St. John, Ed., University of Pittsburgh Press, Pitt Poetry Series, 2003), Winter Stars (University of Pittsburgh Press, Pitt Poetry Series, 1985), Elegy (University of Pittsburgh Press, 1997), The Dollmaker's Ghost (Carnegie Mellon University Press, 1997), which won the 1980 Open Competition of National Poetry Series; The Widening Spell of the Leaves (University of Pittsburgh Press, 1991), The Afterlife (University of Iowa Press, 1977; Carnegie Mellon, 1998), winner of the 1976 Lamont Award, now called the James Laughlin Award (Academy of American Poets); and Wrecking Crew (University of Pittsburgh Press, Pitt Poetry Series, 1972), recipient of United States Award (International Poetry Forum). Excerpts from the film were screened in November in Los Angeles. Post-release of the documentary, a DVD will be available. * Designed by A for Adventure, Richmond, Virginia, and available for purchase. Read Gregory Donovan's piece in the journal Blackbird, "The Anecdote as Antidote: Skipping Rope with Larry Levis", Fall 2014; and Edward Byrne's essay, also in Blackbird, "To Recover the Poet: Larry Levis's Elegy, The Selected Levis, and The Gazer Within", Fall 2004. 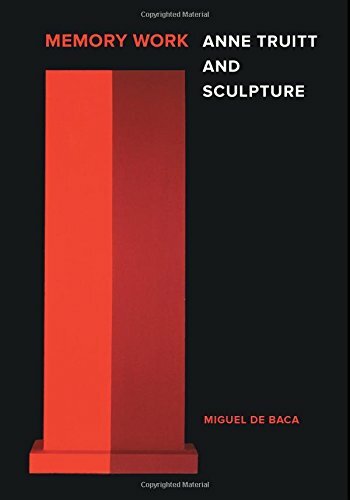 ✦ Miguel de Baca, Memory Work: Anne Truitt and Sculpture (University of California Press, December 2015) See the UCP page for Memory Work. The book is available in electronic format. ✦ Julian Barnes, Keeping an Eye Open: Essays on Art (Knopf, October 2015) ~ This one is in my reading stack now. 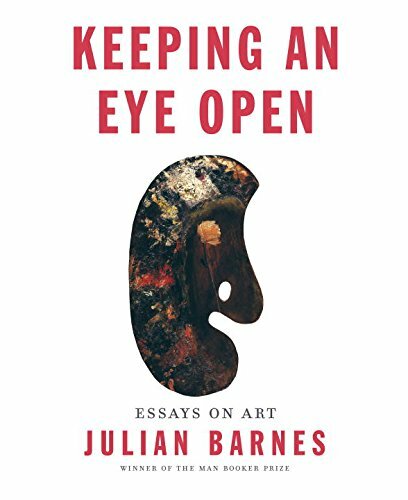 ✦ John Berger, Portraits: John Berger on Artists (Verso, November 2015) See the Verso page for Portraits. Watch a 14-minute video (November 2015), "John Berger: Writer, Painter, Art Critic". Read an excerpt from the book about "My Friend Robert Rauschenberg" (The New York Review of Books, NYR Daily Blog, November 14, 2015). ✦ Michael Kenna (Photographer) and Yvonne Meyer-Lohr (Designer), Forms of Japan (Prestel, September 2015) See the Forms of Japan page at Kenna's Website. And this one: Charlene Spretnak's The Spiritual Dynamic in Modern Art: Art History Reconsidered, 1800 to the Present (Palgrave MacMillian, 2014). 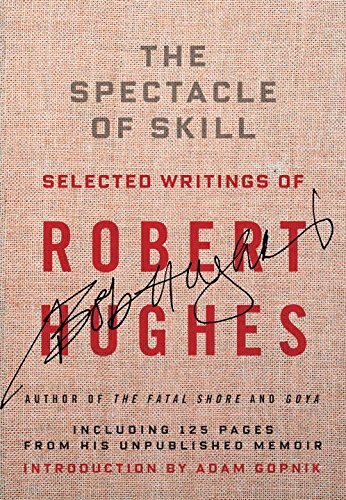 It is highly recommended by my friend, artist Deborah Barlow, whose instincts about superb reading are unerring. Read Deborah's excellent Slow Muse review of Spretnak's book. ✭ In Reston, Virginia, Greater Reston Arts Center is presenting through February 13 "Rebecca Kamen: Continuum". (I've featured Kamen, a wonderful artist who combines art-making with a deep interest in and knowledge of science, in several posts.) The GRACE exhibition showcases two of Kamen's sculpture-and-sound installations: Portal (2014), inspired by gravitational wave physics and black holes, and NeuroCantos, inspired by "the relationship and poetics of inner and outer space". 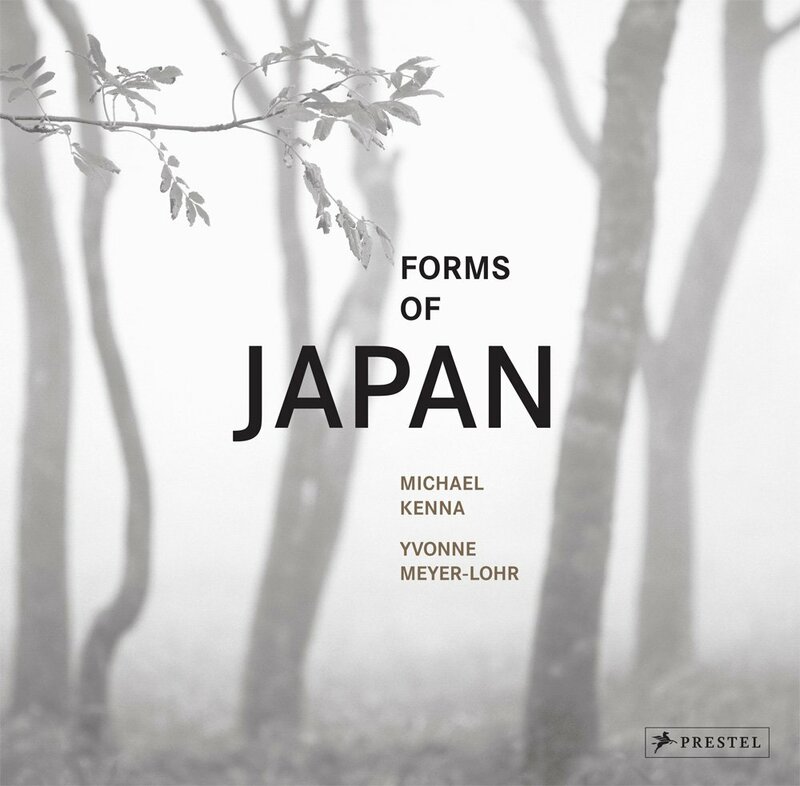 A keepsake brochure, illustrated with Kamen's remarkable work, accompanies the solo show. See my post on Rebecca's Divining Nature (2009). View a selection of tape drawings at Walko's Website. ✭ The National Ornamental Metal Museum, Memphis, Tennessee, is hosting through March 13 the 2015 Taiwan International Metal Crafts Competition (the show opened December 13). This is the first time the exhibition has come to the United States. For the last eight years, it has been at the Gold Museum in New Taipei, Taiwan. Two categories, Jewelry and Objects, were designated for the invitational competition, which involved metal craft professionals from around the world. The international jury received 330 entries and selected 28 (16 in Jewelry and 12 in Objects) for prizes. The prize-winning entries are showcased in the exhibition. Competition results are to be published in an electronic catalogue. ✭ Mixed-media and installation artist Gabriel Dawe's large, site-specific installations of colored thread remain on view through January 10 at New Jersey's Newark Museum. An extensive exhibition of Dawe's work, "The Shape of Light: Gabriel Dawe" showcases not only Plexus no. 30 (2015) and Plexus no. 31 (2015) but also smaller sculptural works and abstract works on paper. Images are at the exhibition link. Read Smithsonian Magazine's feature "Artist Gabriel Dawe Made a Rainbow Out of 60 Miles of Thread" (November 17, 2015), about Dawe's work in the "Wonder" exhibit at Renwick Gallery. ✭ Conceptual photographer Kenneth Josephson's images of found and constructed visual puzzles continue on view through May 8 at Denver Art Museum. The show, "Kenneth Josephson: Encounters with the Universe", includes 62 photographs (1959-2003), among them early experimental images, ground-breaking conceptual photographs, and more recent landscapes. Read an interview with Josephson. All Art Friday will be taking a break on Christmas Day, December 25, 2015, and New Year's Day, January 1, 2016. Have two wonderful holidays and join me again in the New Year! 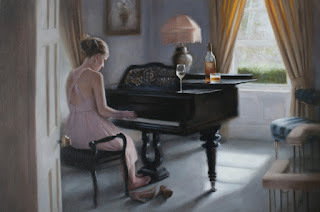 Oil on Linen, 16" x 24"
Please join me today at Escape Into Life, where I've posted my final 2015 Artist Watch column, which showcases the beautiful figurative oil paintings of Tina Spratt of the United Kingdom. Inspired by the female form, Tina is an award-winning painter who exhibits in the United Kingdom and the United States. Her work is distinguished by dramatic use of light, atmospheric depth, and emotional intimacy. Her exacting hand and careful attention to detail are evident especially in her depictions of colorful, textured fabrics. In today's Artist Watch feature, you'll find eight images of Tina's work, her Artist Statement, and a biography. You'll also find links to her Website and social media sites, as well as to the galleries that represent her. At age 34, Japanese ceramist Ichino Masahiko received the 1995 grand prize, for his piece titled Kai, at the Japan Ceramic Art Exhibition. Since then, he has been deemed "the New Wave of Tamba" (a style used in making storage jars, vessels such as sake bottles, and vases), and, according to his profile at Japanese Pottery Information Center, where additional views of Masahiko's ceramics, including gorgeous hanging plates, are available, "the potter who will carry the weight of Japanese pottery on his shoulders." I first came across works by Masahiko spotlighted by artist John Cannell on FaceBook. My immediate impression was, "Wow!" Not only is Masahiko's work elegant, its sculptural forms entirely pleasing to the eye, but the pottery also is distinguished by its unfussiness and precisely placed accent(s) of bold color. One look is not enough! In addition to the Japan Ceramic Art Exhibition award, Masahiko is the recipient of Hyogo Prefectural Culture Prize (2011), the Grand Prize at the Tanabe Museum of Art's "Tea Ceremony Formative Arts Exhibition" (2009), and Japan Ceramic Society prize (2006). Masahiko's work can be found in the collections of The Japan Foundation, Brooklyn Museum, Victoria & Albert Museum, Museum of Ceramic Art (Hyogo Prefecture), Higashihiroshima City Museum of Art, and Tanabe Museum of Art, among other arts institutions. He exhibits world-wide. Today brings us a look at Sandro Botticelli's Cestello Annunciation (1489-1490), included in the "Art for Advent" series written and narrated by Dr. James Romaine. 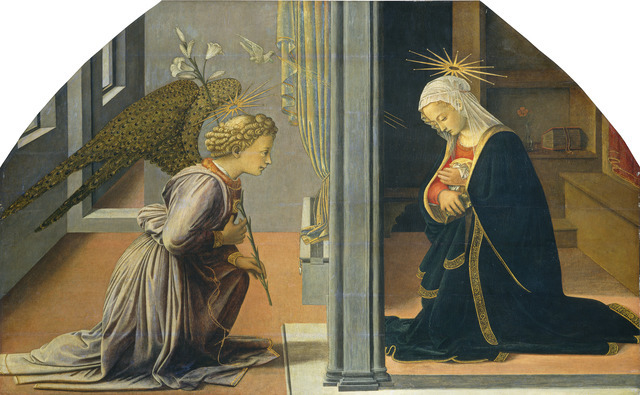 The five-minute video for the Third Sunday in Advent (December 13) examines Botticelli's treatment of the transformation of the Virgin Mary at the time of Christ's incarnation. Recently, the PBS Newshour presented a poetry feature with Alaskan Native poet Joan Naviyuk Kane: "Why Native Poets, and Their Languages, Are So Often Misunderstood". The feature includes two readings of the same poem, "Compass", first in English and then in Kane's language Inupiaq. Listen here or at the article site. The text of the poem in both languages and Kane's description of her writing practice are found in the article. A profoundly lyrical poet of arresting images, Kane is the author of Hyperboreal (University of Pittsburgh Press, Pitt Poetry Series, 2013) and The Cormorant Hunter's Wife (NorthShore Press Alaska, 2009; reissue University of Alaska Press, 2012), her debut collection and winner of the Whiting Writer's Award. She also is the author of a chapbook, The Straits, available from Voices from the American Land. Kane was awarded the 2014 American Book Award (Before Columbus Foundation) and the 2012 Donald Hall Prize in Poetry. In addition, among other honors, she is the recipient of a Native Arts and Culture Foundation Literature Fellowship, a Creative Vision Award from United States Artists, and a Rasmuson Foundation Artist Fellowship. Read selections from Hyperboreal (pdf). My thanks to PBS Newshour for the introduction to this extraordinary poet. What we know gains clarity from what we misunderstand. Quoted from "Cast-Offs" in Charlotte Pence, Many Small Fires: Poems (Black Lawrence Press, 2015) This is an excellent collection. Pence also is the author of the chapbooks Weaves a Clear Night: A Poem in Seventeen Sections (Flying Trout Press, 2011) and The Branches, the Axe, the Missing (Black Lawrence Presss, 2012), winner, Black River Chapbook Competition, 2012; and the textbook The Writer's Path: Creative Exercises for Meaningful Essays (Kendall Hunt Publishing, 2004). She is the editor of and a contributor to The Poetics of American Song Lyrics (University Press of Mississippi, 2011). She is a professor of English and creative writing at Eastern Illinois University. Pence will be giving readings at the U.S. Naval Academy, Annapolis, Maryland, February 22, and Towson University, Baltimore, Maryland, February 23. Today's delightful short is the book trailer for Oscar Sabini's Paper Zoo: Create Collage Animals (Princeton Architectural Press, October 2015). 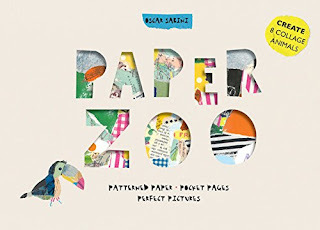 While Paper Zoo is designed as an activity book for children, playful adults will want to add it to their learning library. ✦ Oregon's James Lavadour, founder of Crow's Shadow Institute of the Arts, is releasing Land of Origin, a new suite of four three-color lithographs. In an edition of 18 (available only as a suite), Lavadour's new prints are available through CSIA. View Land of Origin images. ✦ I was first introduced to the ceramic sculptures of Allison Luce, Charlotte, North Carolina, via ArtWay, which featured her Serpent Tree in November in the section titled "Visual Meditation". On visiting Luce's Website, I learned she also creates beautiful monoprints. This is an artist to watch! ✦ Amazing paper artist Rogan Brown says his sculptures are the result of "play with the architecture of nature and organic growth." View Brown's portfolio, which may surprise as well as delight you. Brown's work is featured in Postdigital Artisans (Frame Publishers, 2015) and Paper Art Now (Monsa, 2015). ✦ Among a number of Yale University art features that may viewed online is "Robert Adams: The Place We Live | A Retrospective Selection of Photographs". ✦ "From the Roman Studio", watercolorist Wendy Artin's 10th solo exhibition at Gurari Collections in Boston concluded December 6. 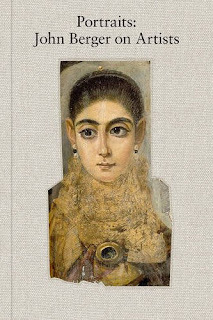 Work in the exhibition is presented in the catalogue The Roman Studio, which features a preface by poet Jessica Fisher, who teaches at Williams College. See Artin's beautiful watercolors of statues, nudes, still lifes (especially her paintings of paintbrushes and fruits and vegetables), and landscapes. Sixteen of Artin's watercolor drawings are in Seamus Heaney's Stone from Delphi, published by Arion Press. ✦ Fiber arts fans can stay current with FAN Fare, a free interactive online show from Fiber Art Now. Check a list of episodes in the archive. Among the artists featured are Amanda McCavour, Andrea Graham, Carol Anne Waugh, Jean Gauger, Liz Alpert Fay, and Michelle Sirois-Silver. Viewers who watch a show live have a chance to ask questions. 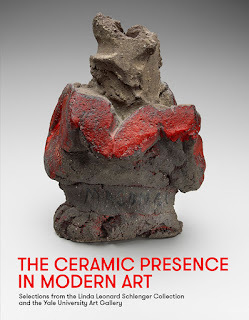 ✭ Up through January 3 at Yale University Art Gallery: "The Ceramic Presence in Modern Art". Featuring more than 80 objects, the exhibition draws from the Linda and Leonard Schlenger Collection, considered one of the most important in the country, and Yale's own holdings in other media (painting, sculpture, works on paper). Among the ceramists whose work is on show are John Mason, the late Kenneth Price, the late Lucie Rie, and the late Peter Voulkos. Work by Isamu Noguchi, Mark Rothko, Edward Ruscha, and others also is exhibited to provide context for the place of post-war ceramics in modern and contemporary art. A selection of images from the show may be viewed online. A catalogue with 139 color illustrations is available (see image below). ✭ Tennessee's Frist Center for the Visual Arts, in Nashville, is showing through January 10 the work of New York artist Shinique Smith. The aptly titled exhibition, "Shinique Smith: Wonder and Rainbows", features a site-specific painting, a multi-panel wall piece, 10 collage paintings, and 4 hanging "bundle" sculptures. Smith draws her inspiration from Eastern spirituality, fashion, dance, abstract art, poetry, and music and often incorporates found materials in her work, which is exuberant and colorful. Browse the gallery guide for the exhibition (pdf). Below is a lecture by Smith, who talks about her artistic practice, inspirations, and work. Read an interview with Shinique Smith in the Nashville Scene (October 2015). 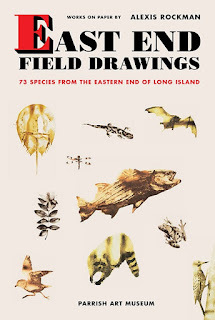 ✭ More than 90 drawings by Alexis Rockman are on show at Parrish Art Museum, Water Mill, New York, in "Alexis Rockman: East End Field Drawings", continuing through January 19. 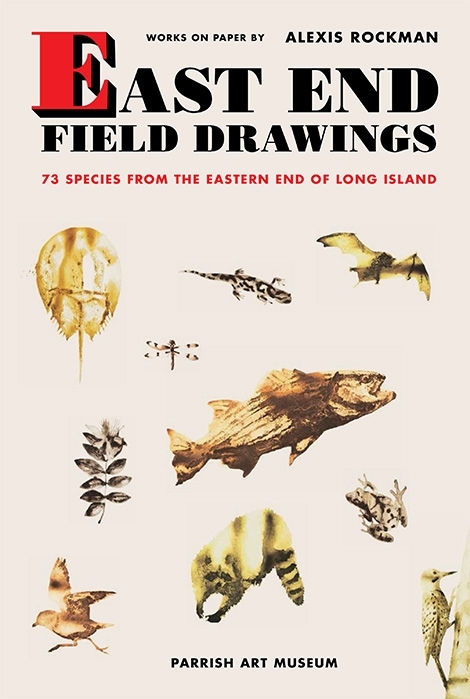 Rockman created the work, which depicts flora and fauna, while at various sites on eastern Long Island; he used in each organic material (such as sand) from the places he visited. A catalogue of the exhibition is available (see image below). There is an excellent list of articles and videos about Rockman on his Website; see Media. ✭ Gregg Harper's "combinatorial artworks" are on view in "Reckonings from a Distance" through January 3 at New Bedford Art Museum, New Bedford, Massachusetts. The works are deemed "combinatorial" because their elements include photographs, archaeological drawings, and collected objects. Read Harper's statement about his works on the show's FaceBook page. A gallery talk and musical performance by Harper is scheduled for December 17. ✭ Maryland's Baltimore Museum of Art is featuring through March 20, 2016, photography by Russian and Belarusian artists in "New Arrivals: Late 20th Century Photographs from Russia & Belarus". The 20 images in the exhibition include Sergey Kozhemyakin's Transformation of the Image (1990), Boris Savelev's Girl in a Box (1991), and Alexander Slyusarv's Untitled (1980). ✭ At the University of Rochester's Memorial Art Gallery, you'll find "Art for the People: Carl W. Peters and the Rochester WPA Murals". On view through January 3, the exhibition features newly restored mural studies by Peters for 13 extant Works Progress Administration murals, other work by Peters, and WPA posters on loan from the Library of Congress. Read Jessica Marten's interesting article about the exhibition (pdf) published in American Art Review (October 2015). The article includes color images. Below is an excerpt from the film Birth: Origins at the End of Life (Pulse Films, 2015), by American artist Whitney McVeigh, currently Fellow in Creative Practice, London College of Fashion. The film records six women at St. Christopher's Hospice, Sydenham (Southeast London), as they talk about birth, including its physical and psychological effects, motherhood, and life and death. McVeigh, whose artwork is largely film-based, undertook research as part of a project, Human Fabric, at London College of Fashion; her idea was to explore the human body as "vessel, container and carrier of stories and memories" and, in particular, how older women at the end of their lives recall giving birth and caring for their children. McVeigh spoke April 27, 2015, at the Royal Academy of Arts about her fascinating project; listen to the 51:35-minute podcast. My thanks to The Guardian for the link. communicate with has its own voice. An artist who lives and works in both New York City and Bali, Louise Despont collects images—often intricate work that, she says, "vibrates for you": geometrics, mandalas, Tantric drawings, maps, textile patterns, beehives, masks. Drawing on her vast image library, she's inspired to create "what hums". The tools of her trade are compasses, stencils, rulers, colored pencils, gold leaf, and antique ledger paper. Louise Despont According to the Universe | ART21 "New York Close Up" from ART21 on Vimeo. In April and May of 2015, Despont celebrated her fourth show at Nicelle Beauchene Gallery, the solo exhibition "Harmonic Tremor", a series of exquisite drawings that explore "the spiritual and energetic spaces" waiting to be uncovered in Balinese customs and traditions. She will exhibit next year at The Drawing Center in Manhattan; "Louise Despont: Energy Scaffolds and Information Architecture", which includes a site-specific installation as well as large, meticulous drawings, opens January 21 and runs through March 20, 2016. See a slideshow in Architectural Digest and Juxtapoz magazine. Today brings the second video in the series "Art for Advent". 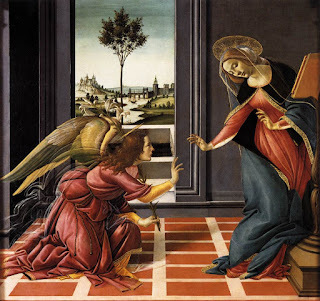 Written and narrated by Dr. James Romaine, this five-minute video for the Second Sunday in Advent (December 6, 2015) examines Fra Filippo Lippi's altarpiece The Annunciation (1435-1440). Read poetry—lots of it! . . . And write every day. . .
a poem. 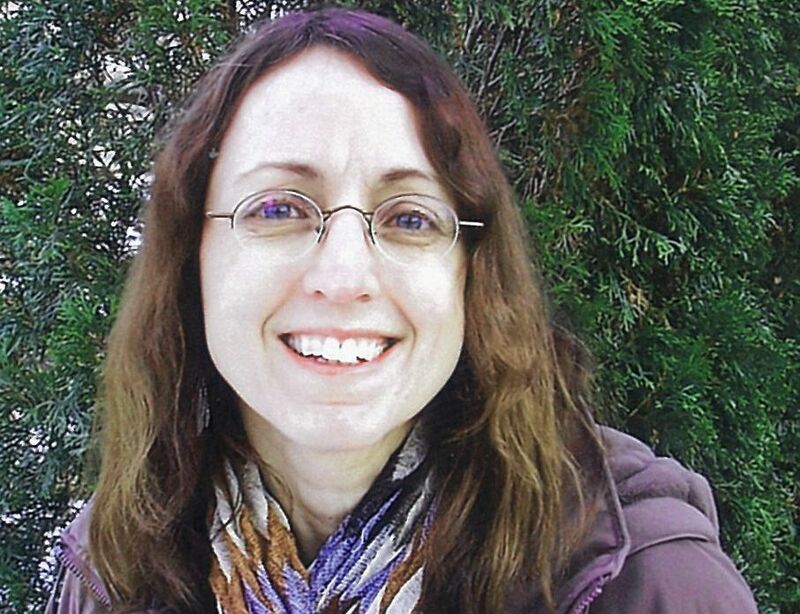 . . approach it as an explorer. . . .
Shari Wagner takes office as Indiana's new Poet Laureate on January 1, 2016. Her term is two years; she serves through December 31, 2017. Wagner is Indiana's sixth Poet Laureate. Background on the Poet Laureate position is found in my profile of Norbert Krapf (2008-2010). The successor of George Kalameras, Wagner plans during her tenure to travel throughout Indiana to promote the state's poets and the writing and reading of poems. She is experienced in teaching in universities and colleges, grade schools, retirement and nursing homes, and a range of other community and institutional settings. (One of her workshops is titled "Poetry as Memoir: Defining Moments in a Life"; another is "Women Veterans' Memoirs: A Writing Workshop".) Noting Indiana's upcoming bicentennial and the centennial of Indiana's state parks, Wagner intends also to emphasize poetry's relationship to history and nature. Her own poetry demonstrates those connections beautifully. of what you don't include is as important as what you do. A poet, memoirist, and essayist, as well as a photographer, Indiana native Shari Wagner is the author of The Harmonist at Nightfall: Poems of Indiana (Bottom Dog Press, 2013) and her debut collection Evening Chore (Cascadia Publishing House, 2005). A third collection, in the voice of a farm wife, is in progress. According to her Website, Wagner also is at work on poems in the voices of men and women in Indiana history. With her father, Dr. Gerald L. Miller, Wagner co-wrote Making the Rounds: Memoirs of a Small-Town Doctor (Booklocker, June 2015) and A Hundred Camels: A Mission Doctor's Murder Trial and Sojourn in Somalia (DreamSeeker Books, 2009). She also is the editor of Returning: Stories from the Indianapolis Senior Center (Writers' Center of Indiana, 2012). Wagner's poems, which author and reviewer Maura Stanton says "dazzle with their imagery and music", take as their subjects place (Indiana itself figures prominently), personal history, family and community, worklife, nature, memory, past and present, ancestry and heritage (Mennonite), culture, and myth and legend. as adolescence when their nerves were fused to mine. ~ from "The Prayers of Saint Meinrad"
Poems by Wagner have been published in such literary periodicals as American Life in Poetry, Black Warrior Review, The Christian Century, Indiana Review, The Mennonite Weekly Review, Midland Review, National Wetlands Newsletter, North American Review, Poetry East, Shenandoah, Southern Poetry Review, Traces of Indiana and Midwestern History, Valparaiso Poetry Review, and The Writer's Almanac. Wagner's work also is found in the anthologies A Cappella: Mennonite Vocies in Poetry (University of Iowa Press, 2013), Naturally Yours: Poems About Indiana State Parks and Reservoirs (2013), Best American Nonrequired Reading 2013 (Mariner Books), and And Know This Place: Poetry of Indiana (Indiana Historical Society, 2011). Wagner teaches poetry and memoir writing at Indiana Writers Center and literature at Butler University's "Religion, Spirituality, and the Arts" seminar.